Music Reviews by the Rock Doctor - June-26th, 2018 - Gonzo Okanagan Online News, Music, Technology, Sports, Film, Arts & Entertainment, Culture, Wine & Dine... Life! BuddyGuy will be 82 on July 30th, and he’s still the baddest blues guitar player that ever was. The Blues Is Alive And Well is blues poetry and exquisite playing. Many of the melodies and themes feel familiar- that’s how it goes with the blues- but here in Buddy’s hands, it has rarely sounded sweeter. Produced by drummer/ longtime collaborator Tom Hambridge, The Blues Is Alive And Well is a straight up no-frills blues record. Guests include Keith Richards and Jeff Beck who join in on Cognac, singer James Bay helps out on Blue No More, and Mick Jagger is featured on You Did The Crime. Such stunt-casting generates interest in the record but is hardly necessary- if you’re into the blues, you’re going to love this album anyway. When you listen to songs like A Few Good Years Guy is hearing footsteps, aware that his time here is coming to a close, but he’s not coasting. On The Blues Is Alive And Well his playing is as fierce and articulate as ever, and his singing is just as strong as it was on Damn Right I’ve Got The Blues in 1991. 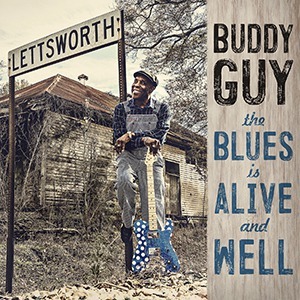 Buddy Guy’s new record is easily as good as anything he’s done in the last 25-30 years. 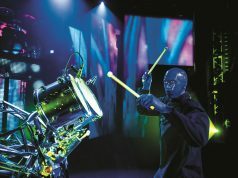 I saw him live back in early 2006 and would like to do so again. Here’s to hoping that he has a couple more albums as good as The Blues Is Alive And Well in him. The 4th official release from GTBB is a scorcher. Captured live at the historic Lafayette’s Music Room in Memphis last July, Backstage Pass is a rockin’ blues performance full of piss and vinegar that shows how vital a live gig should be. Led by Matt Isabell’s rough ‘n’ ready vocals and cigar box guitar, it sounds like this was a helluva show. Produced and engineered by 8-time Grammy nominated Kevin Houston, who also plays sax in the band, this disc is full of muscular, inventive, inspired playing. 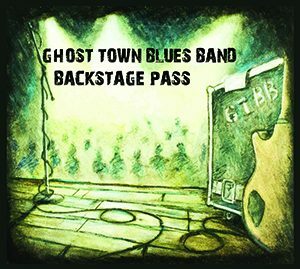 GTBB’s hill country take on the Beatles classic Come Together opens up Backstage Pass, morphs into Norwegian Wood then Zeppelin’s Whole Lotta Love before they bring it home. The song is exhilarating; you gotta admire their ability and willingness to color outside the lines. The centerpiece of BP is a 16 minute version of the Allman Brothers’ Whipping Post that keeps shifting time signatures and allows plenty of time for everyone to show off- ‘thrilling’ doesn’t even begin to touch how awesome this cut is indeed, or the entire album. 5 of these 9 cuts are originals, including the obligatory blues number about a big-legged woman in Big Shirley, but they all rock. Bloody fantastic is what this is! 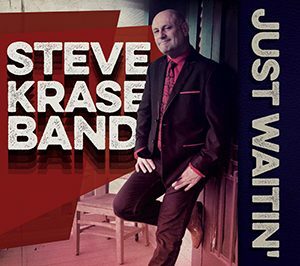 Here is the new (and 4th) album from Houston-based harmonica ace Steve Krase. Expanding his sound beyond the blues into Americana styles, Just Waitin’ is a well played record- and a pantload of fun. Engineered and produced by bassist Rock Romano, Just Waitin’ has a clean, uncluttered sound- no sly tricks here, just the real deal. The album includes covers of Howlin’ Wolf’s My Baby Walked Off and All In The Mood, plus an unlikely (but extremely likeable) Zydeco version- get this- of the theme from The Beverly Hillbillies, The Ballad Of Jed Clampett. 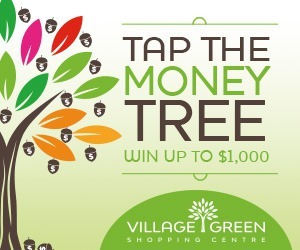 Extra points to Krase for even coming up with the idea! From Steve’s heartfelt vocals to his hot harmonica work, Just Waitin’ is a blues treat. It’s lighter on the sleaze than I prefer, but this is a fun album to have around. Here is the self-titled debut e.p, from this Toronto trio, and talk about being loaded to the nuts with spirit and joie de vivre! Aided and abetted with keys, sax and harmony vocals, this puppy swings until the cows come home. 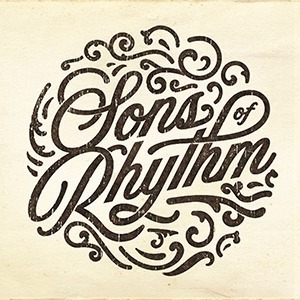 Sons Of Rhythm takes you back to a simpler time, emotionally and musically. The intent behind these 6 tunes isn’t overtly complex; emotions are verbalized in a straightforward way, and the songs move you effortlessly. I mean, how can you not smile and feel better as you listen to a song like You’ve Got A Friend? The song displays a bit of funk and soul in the groove, and it just kinda makes you feel warm all over. Sons of Rhythm is Mick Maratta on vocals and bass, Federico Luiu on guitars & BG vocals and Mike Carbone on drums and BG vocals. Joey Landreth and Lydia Persaud came in to add to the vocal sound, plus the keyboard and sax work of Anthony Brancati are vital ingredients to the overall vibe. This band rocks, swings and grooves with a self assurance that may very well give you a contact high. If ever a collection of songs personified ‘cool’, Sons Of Rhythm is it. 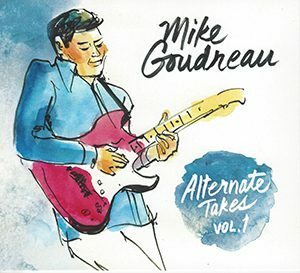 This is Goudreau’s 19th album, a collection of unreleased and reworked original tracks that were originally recorded between 1999 and 2017, but you’d never know it. Alternate Takes Vol. 1 hangs together like a well thought out artistic statement. Sweet cover sketches by Joan Chiverton too. 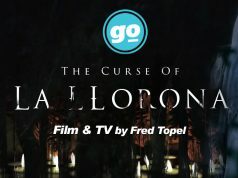 Most of these songs were produced for licensing on network TV and film projects. You’ve probably heard his work before but not known it, on shows like CSI: Los Angeles, Bloodline, Life In Pieces, Gotham, Defiance, The Fosters, plus the feature film Passengers. With such a wide variety of placements this disc displays a wide variety of styles; blues rock, country blues, swing, funk, jazz, Chicago blues, boogie woogie and even reggae, which makes for a pretty entertaining listening experience here. As these tracks were recorded over several years with many different musicians I won’t list all the personnel involved, but Steve Soucy plays piano on several of them. Alternate Takes Vol. I was produced by Goudreau and mastered by David Elias at DEstudio in Sherbrooke, Quebec, and that they sound like they belong together is quite an accomplishment. This isn’t one of those albums that will change the way you look at life, but it’s a good one to just groove to. You want some rough ‘n’ ready blues? Elliot & The Audio Kings is the band that can deliver. Long Live The King is their second CD and it’s as vital, boisterous and engaging as their first set. These guys are ready to blow the roof off the place- again. The band is led by Mike Elliot, formerly of Daddy Longlegs, and he has Jonny Sauder on drums and Scott Fitzpatrick on doghouse bass. These three guys hammer away on this set of tunes as if their lives depended on it, and maybe they do. No coasting here; everyone leans into it, pushing each other to greater heights. Yes the blues is the starting point but The Audio Kings swerve all over the roots road as they sideswipe rockabilly and good old-fashioned rock & roll. This is what Saturday night should sound like. If jazz is a fine suit, then Long Live The King is a t-shirt and jeans. I love the grit and swagger of the performances here, and it sounds like the guys are having the time of their lives playing these songs. 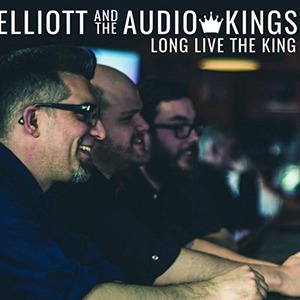 Elliot & The Audio Kings make a mighty noise full of spirit and soul- better hang on, you’re in for one hell of a ride! Next articleScott Cook Returns To Kelowna With Stories And A Stringband.